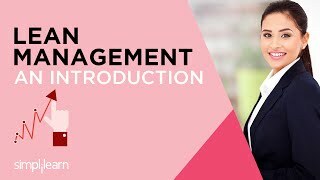 Lean Management is a globally-recognized certification in the field of quality management, providing best practices for optimizing end-to-end businesses processes in product development, manufacturing, operations, service, supplier management, customer relations, and other enterprise functions. The Lean Management certification demonstrates your skills on applying a data-driven approach to eliminating waste and building continuous improvement into business processes. Certified professionals can expect top roles in quality management, including Lean manager or facilitator, quality engineer, quality consultant or continuous improvement manager. According to Payscale.com, median salaries range from $60,000 to $86,000 and can top out as high as $124,000. There are currently 45,000 Lean Management certified professionals around the world. Simplilearn’s Lean Management course can be taken by any professional seeking career growth in the quality management sector or simply to get hands-on experience working with Lean principles. There are no specific eligibility criteria for the Lean Management Certification course. How do I become Lean Management Certified? Simplilearn conducts a 50-question exam at the end of the Lean Management training. A passing score is 60%, at which time you will receive a course completion certificate. Love the education I have received, I have added lots of tools to my tool belt by going through this course. The self paced course with reminder and progress tracking is a great way to motivate. Loved all the content. Either as an initial learning course or a refresher, this course is highly recommended! I think that this course was very useful and full of great knowledge and tools to help me in my endeavors! This was a great course, I learned a lot. It was informative and simple to understand. I found this course, as well as the many other courses I have taken from Simplilearn to be very comprehensive and understandable. I like how you can always go back to the previous slide if you think you didn't catch all of the content the first time thru. Well done. I really enjoyed the course. Information was clear and understandable. Course is very good and it contains exactly what someone needs to learn. Cleared my PMP exams in Feb 2014 after attending training from SimpliLearn. Now, I am doing the Lean Management course. Love the simplicity and the approach used to deliver quality trainings. Good Training. Really learned a lot about the process improvement techniques. Lean Management training was good & helped me a lot to learn in depth. Good course. Covers all the topics you need to know about lean management. I wasn't sure how lean could be leveraged across IT development fields. This session made me understand how lean is being used across industries. You will receive access to e-learning content for all learning units, practice tests and access to exclusive forums moderated by faculty and industry experts. What does Lean Management Certification demonstrates? Do I get practice tests along with the Lean Management training?